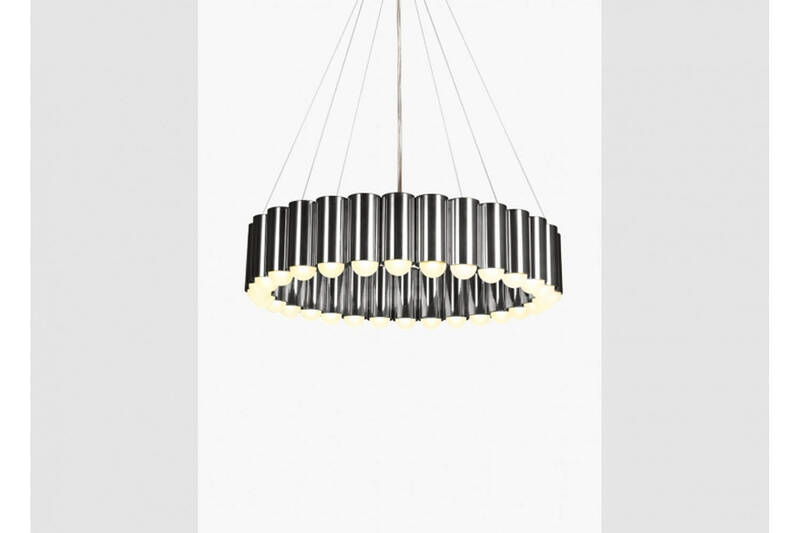 Inspired by the merry-go-round ride of a traditional British fairground, Carousel is a pendant light with a heavyweight presence that floats gently in space. Finished in polished chrome, 30 cylinders each house an inset LED lighting element resulting in a spectacular yet playful ring of light. 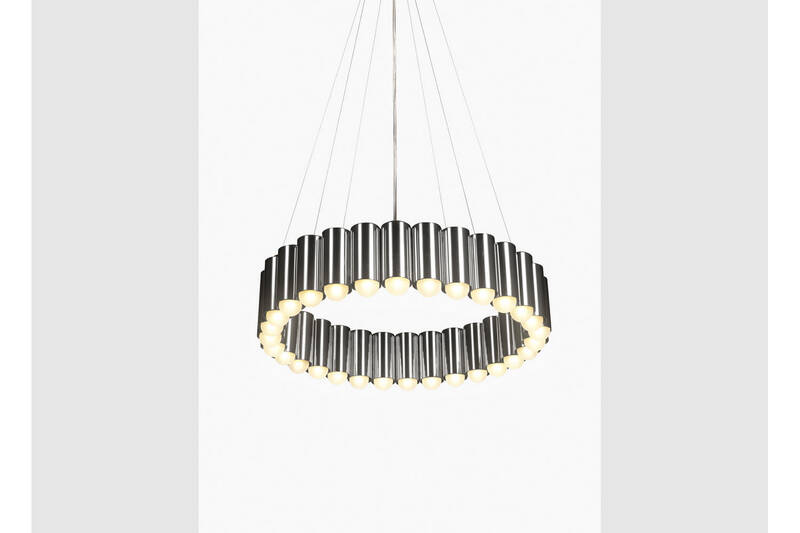 Carousel is suspended from a matching polished chrome ceiling plate by steel tensile wires with a single clear cable.